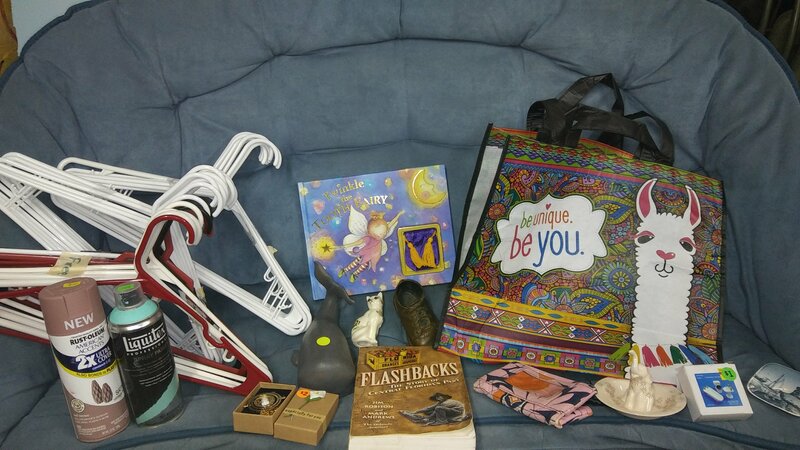 I had way, way too much fun going to 2 rummage sales and 3 entire neighborhood garage sales! And all within a few minutes of our house. 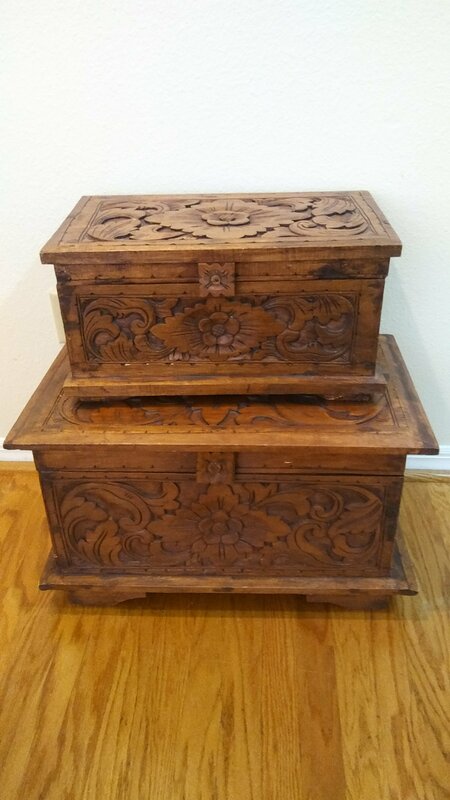 I was especially excited with the above carved wooden chest that I paid $30 for! They are about 2 feet high when stacked (I mention this because my family thought they were jewelry boxes from the picture). I have wanted some like this for a long time but wasn’t going to pay hundreds of dollars for them. They are (supposedly) hand carved from Bali, Indonesia. 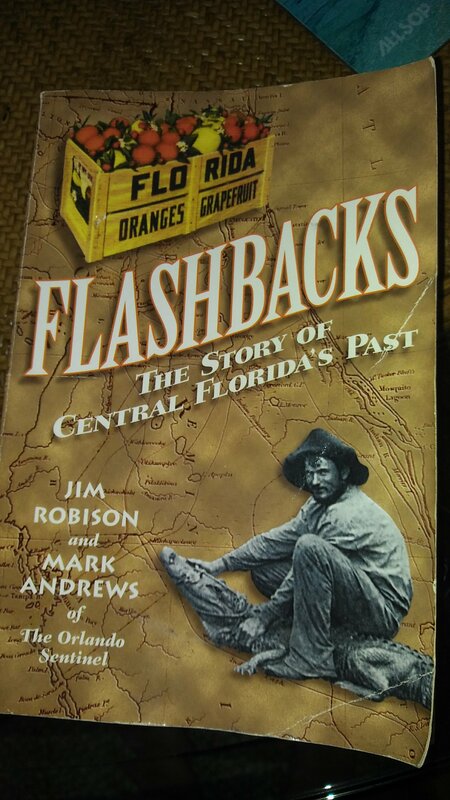 I was also excited to find this Central Fl History book! It was a quarter. 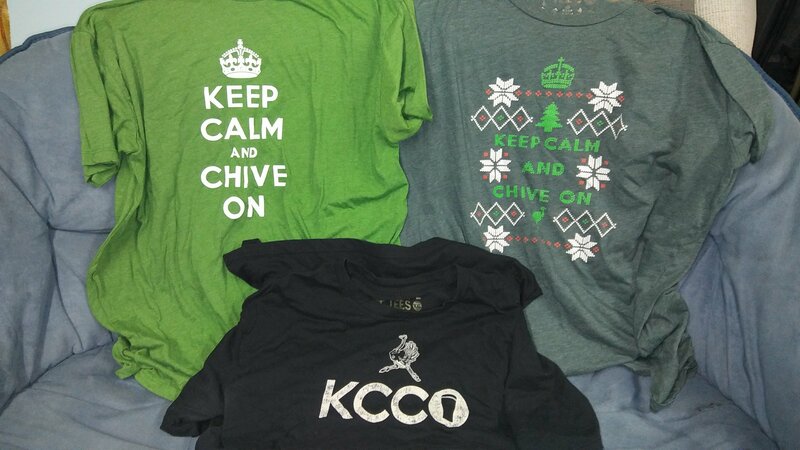 I got 3 Chive On shirts for .25 cents each to sell online. EDIT: These 3 shirts sold for $15 + shipping on Poshmark. 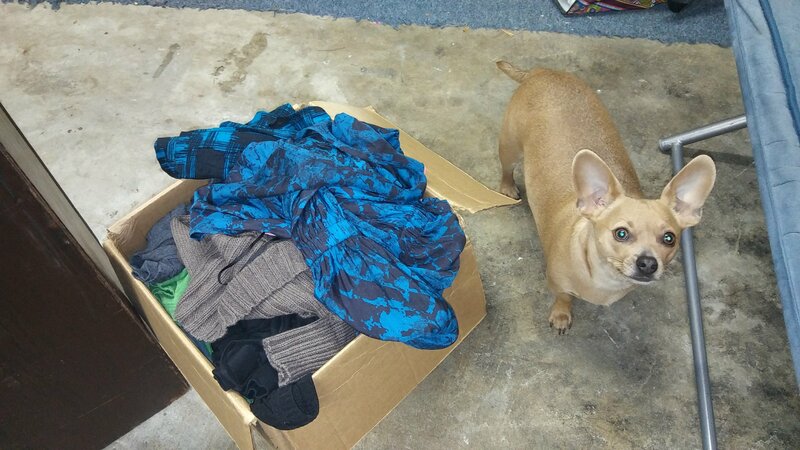 I also got this box full of clothes to sell online that were .25 cents each or .50 cents each. I probably spent about $8 total and we will see what profit I can turn that into. 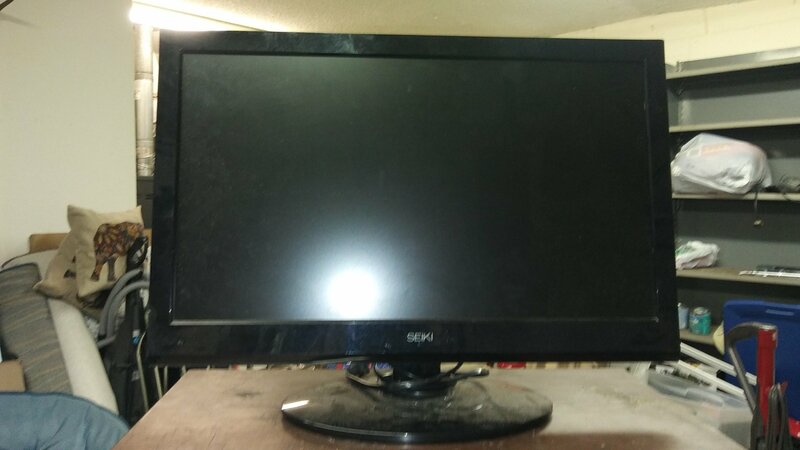 We got this small HD flatscreen TV with a remote for $5. I wanted a little TV for the office (when I’m listing all the clothes!) so this is perfect. 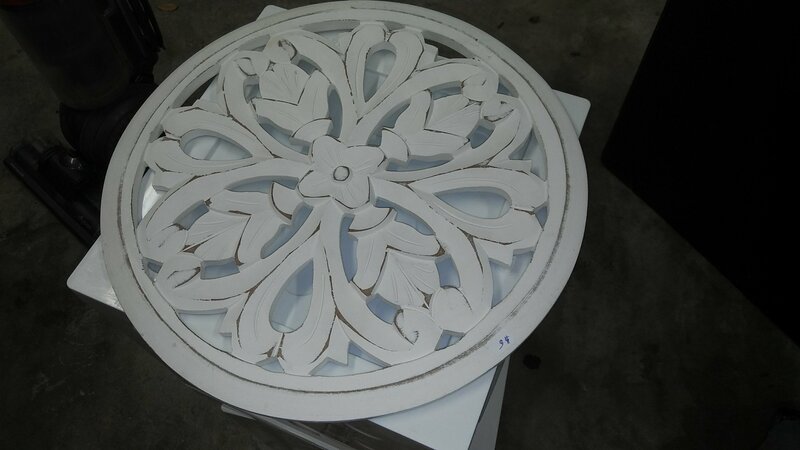 I love the above whitewashed, wooden, carving wall hanging. I haven’t figured out where to put it yet but we have a lot of empty walls. 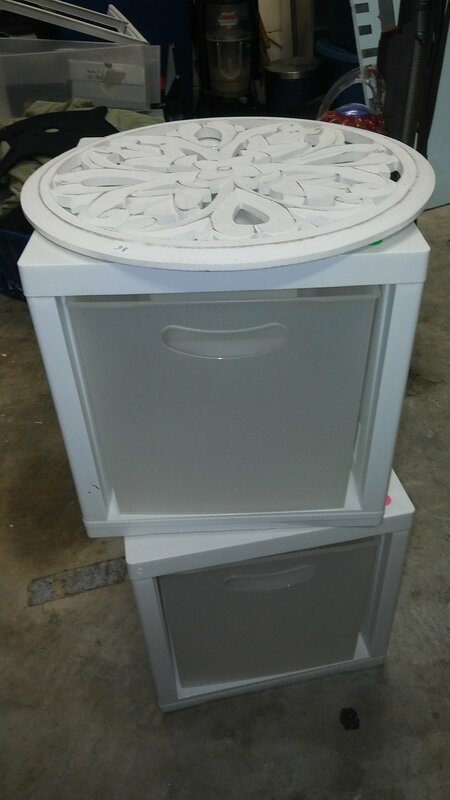 I got those two plastic storage contains for $1.50 for both. 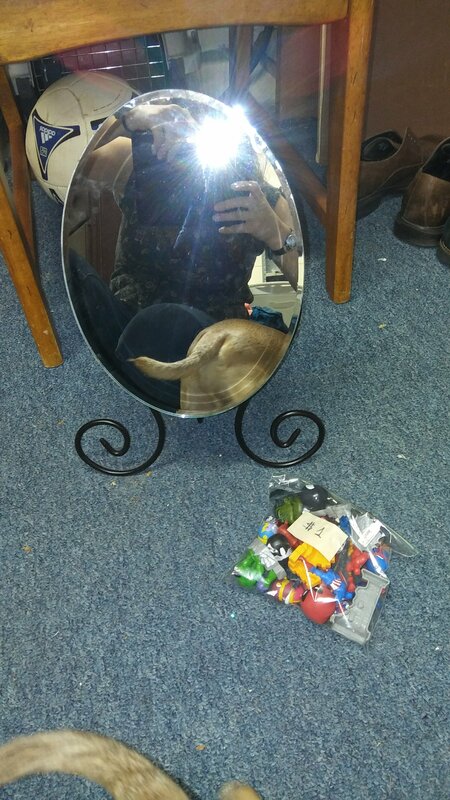 The mirror and bag of marvel toys were $1 each and came with about 30 free hangers that I need to hang the clothes I’m selling. 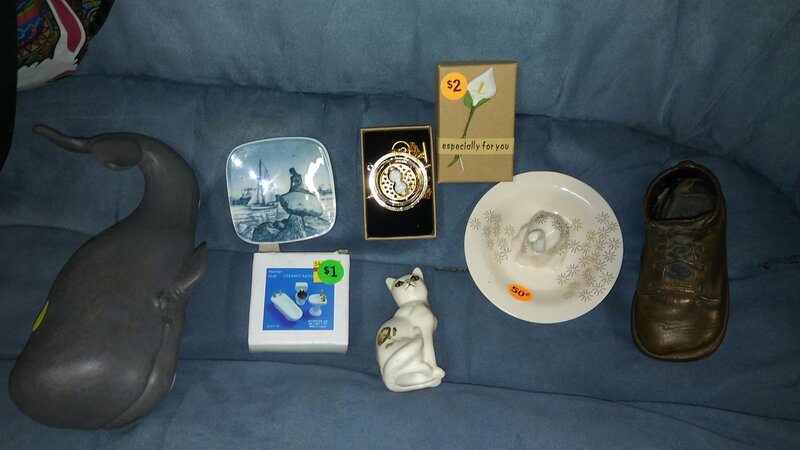 I got quite a few nicknacks too including a miniature, ceramic bathroom set, an hour glass necklace, an anthropologie, elephant, ring holder dish. My mom told me to look for antique, bronze baby shoes and I got the above one for .50 cents and there is an actual baby shoe inside. I think it’s super creepy. I picked up some other small stuff too like the bag. 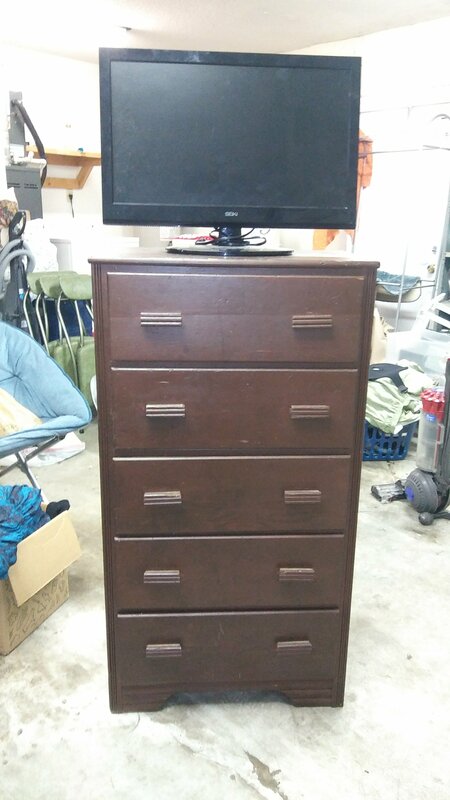 I was also very excited about this $5 dresser. It’s ugly and a little dirty but I really think that it will be perfect when I’m done with it and it’s summer so it’s a good time for a project.